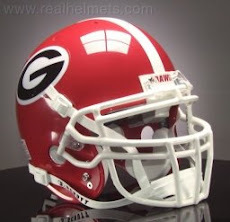 Coach Mark Richt and his staff have decided to break tradition. 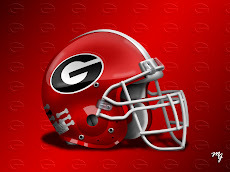 This preseason at UGA, the Dawgs will have no two-a-day practices. 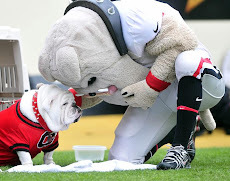 The NCAA limits the number of practices to 29, so the Bulldawg coaches believe they can make better use of single practices, as opposed to multiple trips to the practice field on a given day. When you think about it, it does seem to have its merits. Players have to be a little less sharp in the second practice of two-a-days, the coaches can make better use of chalkboard and film time between practices, team morale just might be a little higher, and the risk of injury might be reduced. I'm sure plenty of those 29 workouts will be in the dead of the day so that conditioning and acclimation to the heat will not be a factor once the season opens. Georgia's 'Mat Drills' in the winter serve as their drudgery workouts anyway. It sounds like a good decision by the coaching staff, but only time will tell how successful the theory will actually turn out to be. Sometimes, the decision to change the way something has always been done is the hardest part of a productive decision.